Almond Raisin Tea Time Cupcakes ... 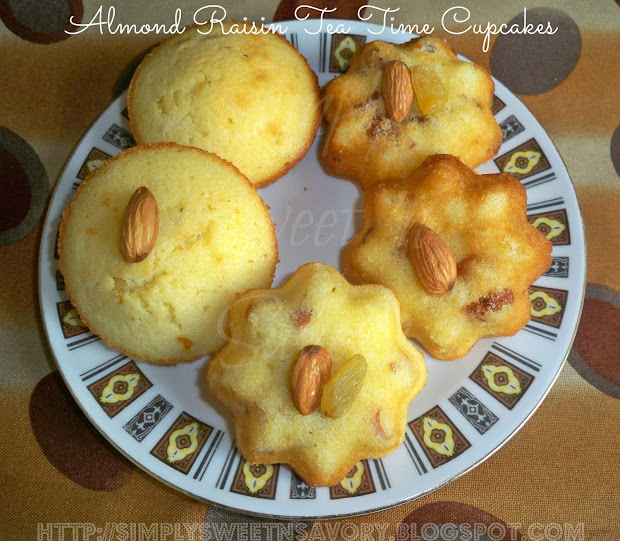 These little cakes / cupcakes with almonds and raisins make a delicious treat for teatime. I'm going to take a a month-long blogging break to visit family. Hope to catch up with you all when I get back home. 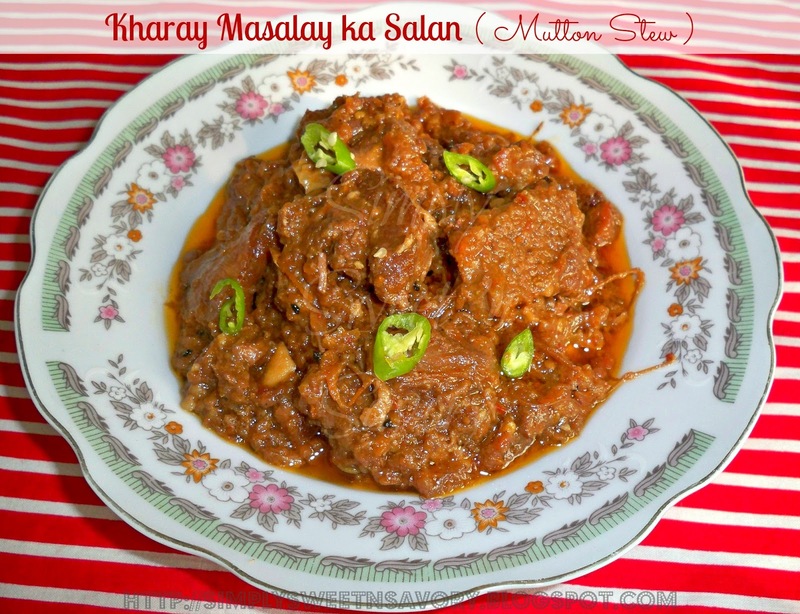 In the meantime, take a look at my older posts and enjoy your time here! Almond Cake Rusk ... Cake rusk is a double baked cake made from oil / butter, sugar, eggs, plain flour, baking powder and flavorings. They are made by first baking a cake, slicing into bars / strips and then drying in the oven on low heat until crispy. These delicious crispy bars with a touch of almonds are perfect for breakfast or as a teatime snack with a cup of tea or coffee. Kharay Masalay ka Salan ( Mutton Stew ) ... A delicious and flavorful Pakistani style mutton stew prepared with onions, tomatoes, yoghurt & whole spices. 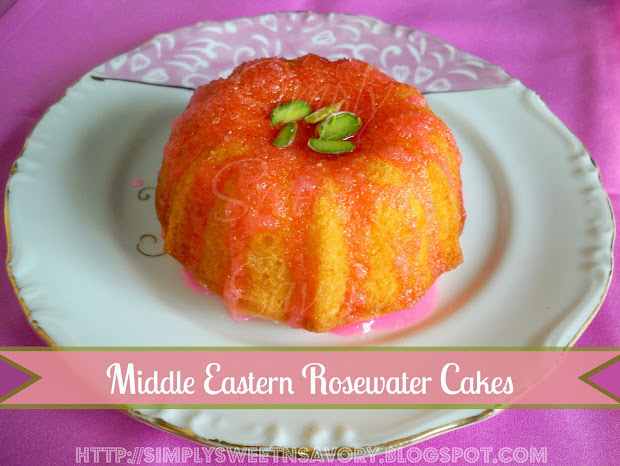 Middle Eastern Rosewater Cakes ... 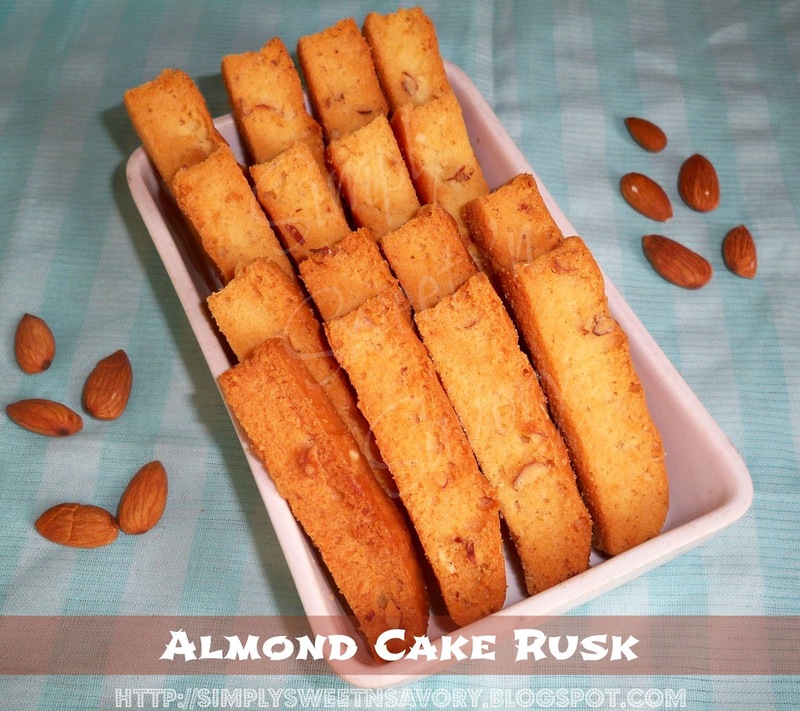 These little cakes are light, moist and mildly sweet with a delicate flavor. 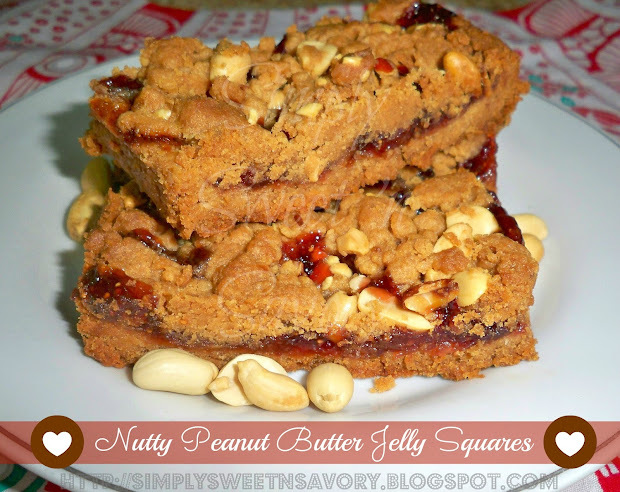 Nutty Peanut Butter Jelly Squares or Bars ... Delicious bar cookies with the classic combination of peanut butter and jelly. These bars are loaded with peanut butter, jam and peanuts. Homemade strawberry jam make them extra special! A nutty and fruity treat for kids of all ages!! !